Body Butters are creams formulated with rich ingredients that is luxurious and thick and which has all the properties of butter, but is not greasy.It is a moisturizing cream that is intended to provide optimum amount of skin hydration. It is made from a variety of substances, including plants oils, nut butters. Filled with essential vitamins and nutrients, body butter provides a natural and healthier way to nourish the skin. 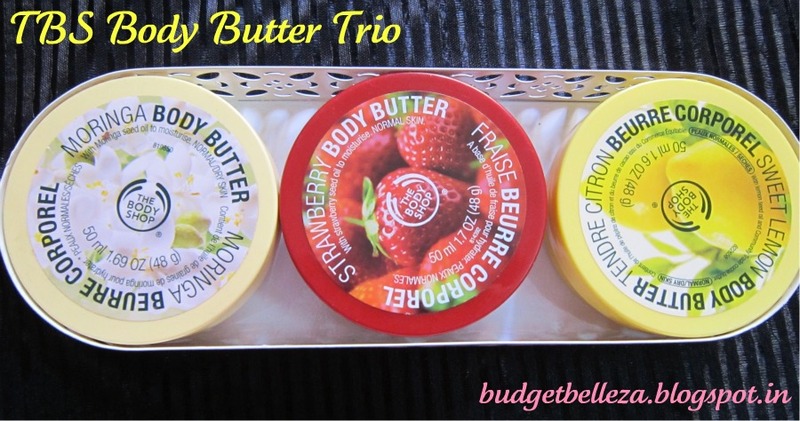 TBS Body Butter Trio contains :- Moringa Body Butter,Strawberry Body Butter and Sweet Lemon Body Butter. Best if you want to: Soften and condition your skin with a rich floral-scented moisturizing cream that lasts up to 24 hours. Moringa seed oil with natural oleic acid moisturizes and protects skin. 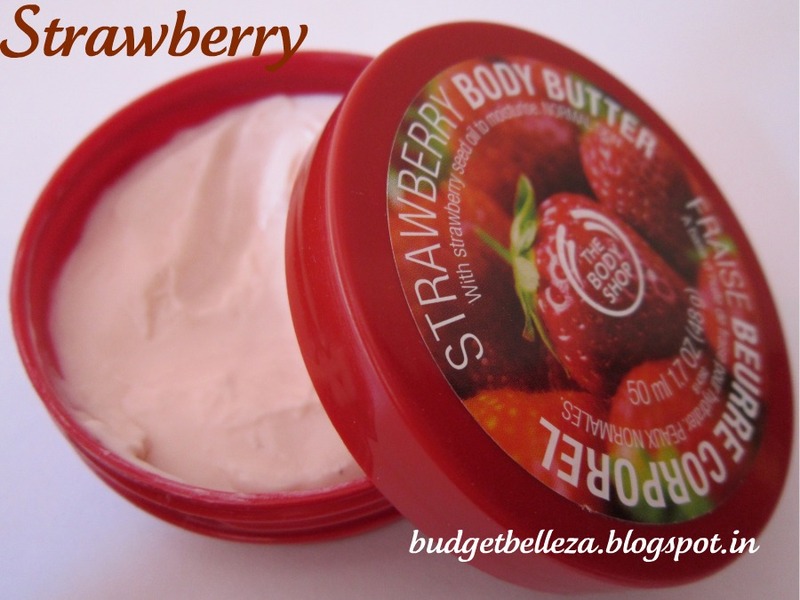 Best if you want to: Treat your skin to a rich, moisturizing cream with a fresh-picked strawberry scent that will soften and smooth for up 24 hours. Strawberry seed oil provides omega-3 and omega-4 fatty acids to repair skin’s moisture barrier, so it is smooth and supple. Best if you want to: Hydrate and protect your skin with an intensive, creamy and fragrant all-over body moisturizer with luscious lemon seed oil that will leave skin delicately scented with an uplifting citrus fragrance. Lemon seed oil is high in anti-oxidants and Vitamin C and helps moisturize and soften the skin. 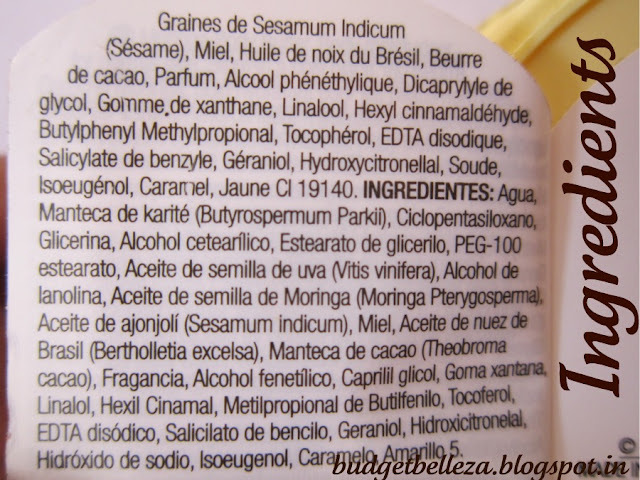 Ingredients: A long list indeed..
Coming to the packaging of the body butter,its in the same TBS trademark plastic tubs with the screw caps,the colours of the tubs represent the fruit,flower etc.it boasts to be made up of. Moringa: Moringa is considered to be the most nutrient rich plant on earth. Moringa leaves have been consumed by Asian people for millennia as a healthy food product. Containing more than 90 nutrients and 46 antioxidants, these vivid green leaves are nature’s super-power food.This is my personal favourite of all the three.It smells DIVINE (yup,in CAPITAL LETTERS). The moment I unscrew the cap,it takes me to some other world (Now I'm on a hunt for a perfume with similar floral notes).I can write an epic on just the fragrance of it,but as of now...let's move to the other one! Sweet Lemon: The colour of the packaging and that of the body butter of TBS Sweet Lemon is similar to that of Moringa one,though a little brighter.This as the name indicates has a citrus fragrance.It is very refreshing,the smell instantly opens up the mind and eyes.I specially like using this much before the winters approach as it appears to be a sorta cool fragrance,very summery kinds. TBS Body Butters named aptly feel like butter on the skin.They are very moisturizing and get absorbed in the skin quickly leaving behind a wonderfully smelling youuu :) They are thick yet non-greasy,a boon for dry skinned beauties! 7.You can see how mush product is left in the tub. 8.Can be accommodated in the daily handbag. 1.Tub packaging might seem unhygienic to some. Last Word: For a person with super dry skin,this comes as a Saviour. I love it! I totally agree Kuheli..its great to see smell n feel..thanks for the comment! i just wish, some of my friends were also in dubai!!!!! Hey, 1000bucks is for single tub or the full pack????? Hey Vanu..i mentioned it in the post that i don't have much of an idea regarding the price..since t'was a gift I cudn't even ask..but I read somewhere,that it was about 1000/- I some festive discount period! It will rock in winters! doesn't your skin stay really greasy after using it? I have the papaya one, and I feel really gross every time I use it... Maybe it's just the papaya one though! Hey there..i mentioned i have a super dry skin,it moisturizes me well! Thanx so much Sukanya..i've yet to try nature's co. products! I agree Deepika,the tray is beautiful n multipurpose too..
Really no Bidisha,"yummylicious" is the apty word to describe them. I have used these products and you won't believe, it is so good...The fragrance as well as the enrichment in the skin is fabulous! I would give it 10 on 10.. 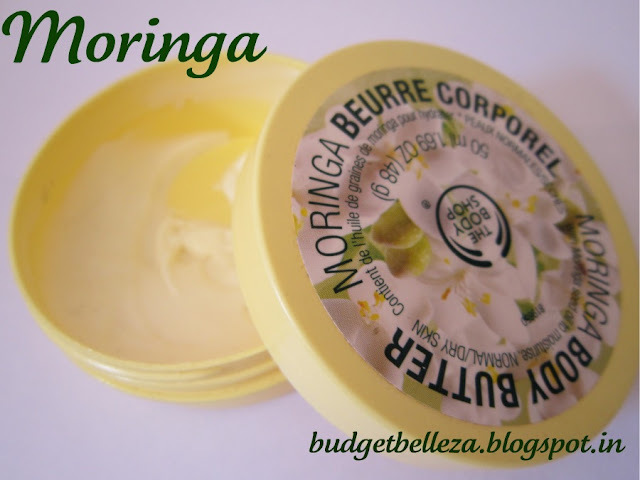 I have been using TB moringa body lotion, scrub and butter(in winters) for long long time...and im very happy with this range!! try he moringa lotion too....its amazing to use in summers!!! whatt an amazing bestie you have got !!! 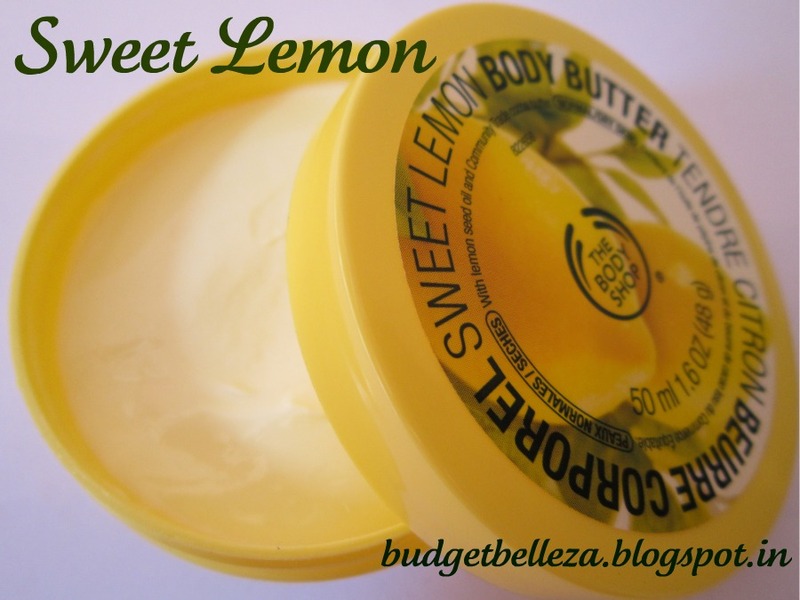 TBS butters are truly experience of their own :) . . .great blog !!! 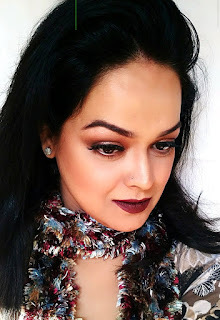 new to blogging, m following you !! !